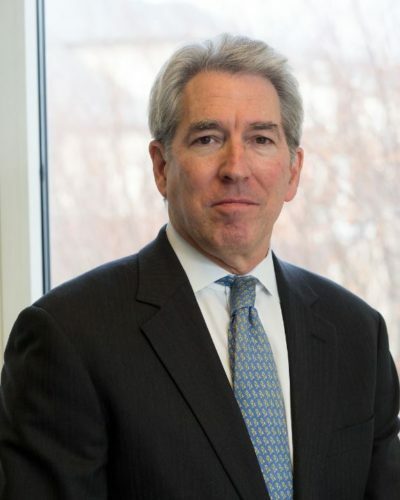 From his office in downtown Princeton, Jay Biggins has a vantage point that few others have when it comes to observing New Jersey’s incentives programs. Biggins, the executive managing director of Biggins Lacy Shapiro & Co., is a longtime expert in the field and has seen the evolution of the programs firsthand. He says the Garden State has been a leader in designing such incentives going back more than two decades, leading other states to follow suit. He has also watched New Jersey respond to the mounting competition with the creation of more powerful and purposeful incentives in recent years, giving way to the current Grow New Jersey tax credit program. The role of such programs will likely remain a focus in New Jersey’s commercial real estate sector and the public policy arena. Competition among states is as fierce as ever, while the election of a new governor has stoked fresh debate about the merits and scale of the state’s incentives offerings. It’s why Real Estate NJ caught up with Biggins, a site selection consultant, who said the programs have “generated an immense amount of investment and employment, (while) also defending New Jersey’s job base from relocation pressures and from competition.” Going forward, the programs could be in line for changes that “effectively build on the success to date and take credit for the success to date,” he said, essentially by refining the award values to address ongoing challenges and new priorities. Below are excerpts from our interview with Biggins. 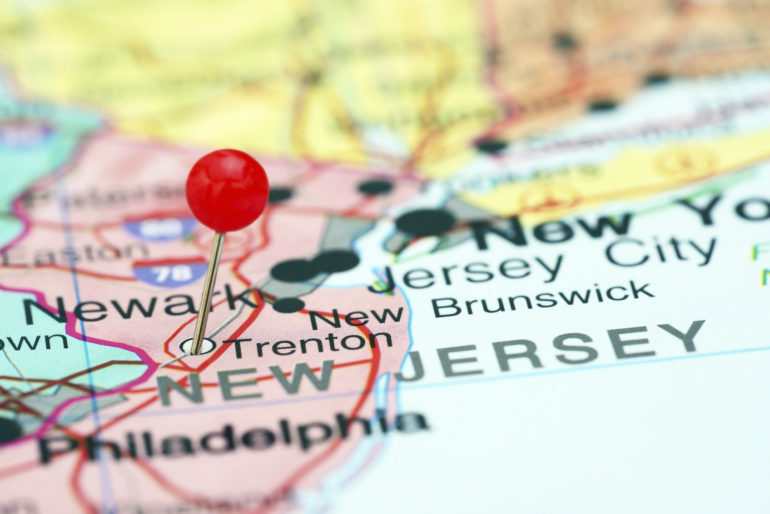 Real Estate NJ: Obviously tax credits and other incentives generate much of the discussion when we’re talking about site selection, but what other factors are important? Jay Biggins: There are some just outstanding examples. Camden has been transformed. Many other efforts have been made to prime that pump so that it could begin to generate some economic activity, but nothing has worked over decades, including hundreds of millions of dollars of state aid just to subsidize the city, with no hope of economically sustainable activity there, besides simply balancing an annual budget. That has now fundamentally changed. … So to the extent that the incentives there can be scaled back, they probably can and that’s got to be one of the subjects to be addressed in future legislation. But we need to be careful about the continuing competitive environment. And it’s critical to remember that every one of these projects goes through a net benefit test analysis. That analysis should definitely continue and probably can be further refined to continue to improve the state’s return on investment. 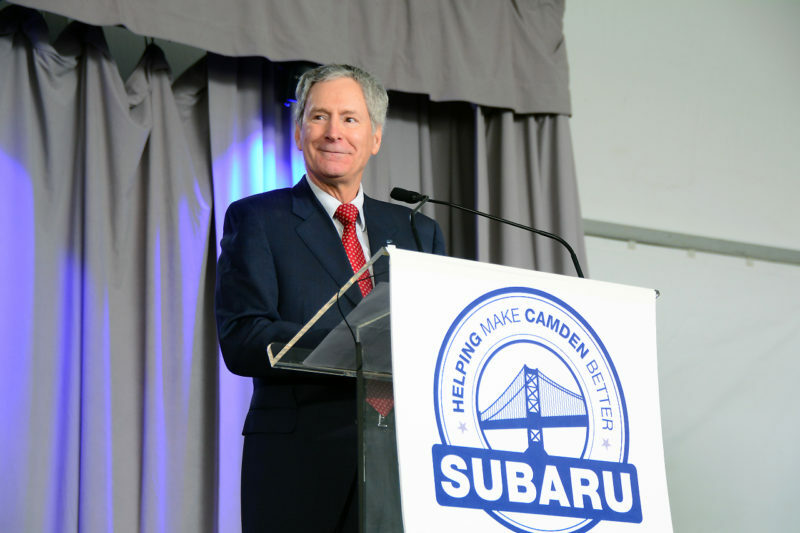 Thomas Doll, president of Subaru of America spoke in December 2015 at the groundbreaking for the company’s $118 million headquarters campus in Camden. RENJ: And there’s a direct correlation between cost and these state incentives programs? JB: Absolutely. That’s the reason for incentives programs. The most evocative way to think about incentives is as a pricing strategy and the decision about where to locate a project as a procurement decision that a company is making. It’s about choice of place and companies are making a huge investment that’s not going to be easily reversed for a very long time. Companies are making big operational and financial commitments, and the cost of that choice is like buying any other product: You’re sensitive to price. Aren’t we all in almost every buying decision we make? But we’re also sensitive to quality and we might be willing to pay a little more than the cheapest alternative to get the quality that we want. The same principles are all at play when companies make location decisions. Incentives need to be to be considered in context of a company selling its products into a competitive market, setting the price and influencing the buyer’s decision at a level where you don’t want to go any further than you have to, but you want to go as far as you need to go to be successful. And that’s the challenge with incentives. That’s why incentives have an appropriate role to play in the economic development marketplace. RENJ: What is an example of a submarket where the programs have really made a meaningful difference in recent years? JB: There are some just outstanding examples. Camden has been transformed. Many other efforts have been made to prime that pump so that it could begin to generate some economic activity, but nothing has worked over decades, including hundreds of millions of dollars of state aid just to subsidize the city, with no hope of economically sustainable activity there, besides simply balancing an annual budget. RENJ: You talk a lot about talent as a key factor in the site selection process. How will that play a role going forward as we think about possible changes to New Jersey’s incentive programs? JB: That’s always been New Jersey’s strength, but our strength is at risk because of affordability. We need to address housing as a critical economic development priority. Talent will increasingly be the defining variable in choice of location. Cost never goes away as that in-the-background tuning fork for what makes the right location work. But if companies can’t really count on New Jersey’s overarching strength — access to talent — then we will really be at a disadvantage, in addition to our cost disadvantage. That’s where I think the housing that’s happening in Jersey City, off the waterfront, through Harrison and into Newark — and I think of that in some ways as one region — is really important. And I think that future incentives need to continue to induce residential development. We should not feel like we’re done with that yet. Camden and Newark are among the biggest beneficiaries of the state’s business and development incentives programs from the past decade. As part of our recent Q&A, we asked Jay Biggins to highlight some of the success stories from both cities. There’s the new Subaru of America headquarters campus on the eastern edge of the city, along with a flurry of new facilities by Cooper University Health Care and Rutgers University. Then there’s the mixed-use, multibillion-dollar development along the Delaware River that will house the likes of American Water Works Co. and other major corporations. That’s not to mention the recently opened headquarters and training center for the Philadelphia 76ers, plus a pipeline of lower-profile projects sprinkled throughout the city, many of which are off the ground with the help of state incentives. The list of projects helped by state incentives is every bit as impressive as it is in Camden. Biggins said “Newark has been transformed,” highlighting projects such as the five-block, $150 million Teachers Village and the restoration of the historic Hahne & Co. building on Broad Street. He also pointed to Prudential Financial’s 20-story office tower that opened in 2015. The project was especially noteworthy and involved “a number of key bold steps” in conjunction with a state incentive program, in that it enabled Prudential to consolidate its footprint in the city, creating large blocks of Class A office space that would allow other companies to come in. 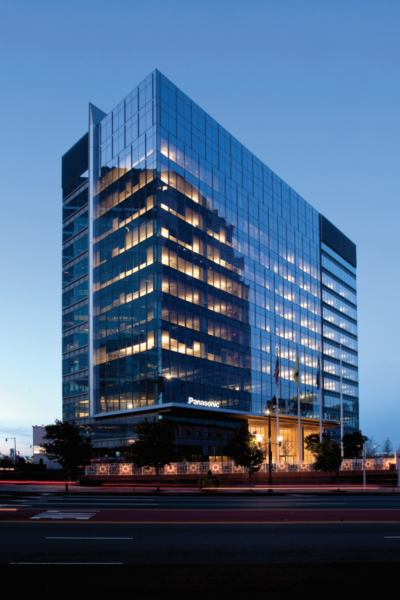 The tower was spurred by the same Urban Transit Hub tax credit program that led to a new 12-story headquarters in the city for Panasonic Corp. of North America. To Biggins, bringing a globally known, cutting-edge technology company to Newark was a success on many levels. “To have that company willing to bring their headquarters into Newark also was just a huge actual success and a branding success for Newark,” he said.